PD 35UE is awesome. This new version, not so much—going by the specs. This seems to be more of a marketing change than an upgrade. It gets 40 extra lumen on Turbo which will be imperceptible, but loses 200 lumens on High, which is a lot! That’s almost 40%! 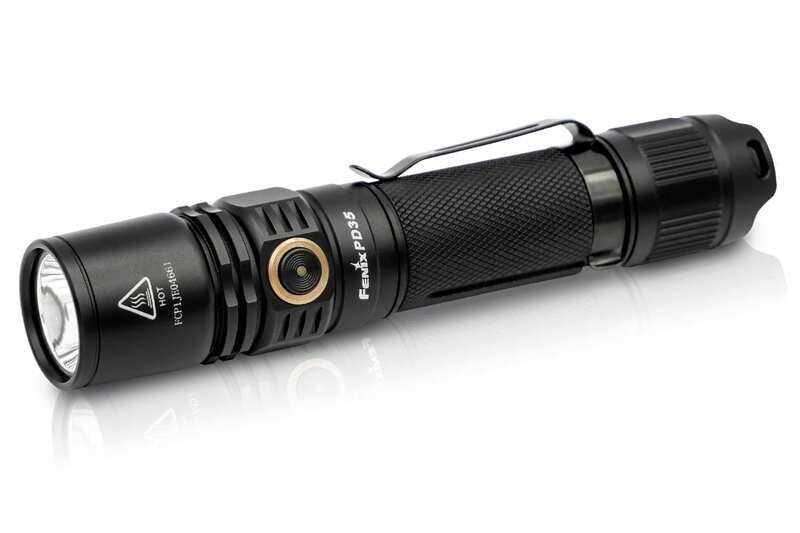 So Fenix can claim “1000 Lumens” but has made the flashlight less usable. Do you think you’re likely to need 1000 lm more often than the 550 lm on high? Especially when Turbo is time and temp limited? It’s too bad Fenix is becoming more concerned about marketing than the usability of their flashlights. I hope this is not the start of a trend. I purchased a PD-35 from XXXX about 10 months ago. Somehow the main blub has burned out. Is this normal for a flashlight that I hardly used? If it is, and I decide to stick with my Fenix flashlight, where do I replace my PD-35’s blub assembly? When my light worked I was very pleased with its performance. Not sure what went wrong with my PD-35. I love this light. It changed the way I look at flashlights. I carried it everywhere. The only usage issue I had was the mode button was very hard to locate without looking at it. I added a blob of nail polish next to it to give my fingers something to feel and that helped. Unfortunately the rubber mode button ripped after a few months of contact with my jeans pocket. I wrapped gorilla tape around it and used it daily for another year and then one day the light just quit. No idea what went wrong and it was out of warranty. I should have returned it as soon as the boot ripped. I’m buying another one for my wife to carry. She will be easier on it than me, and I’m upgrading to the tactical model with the metal mode button.